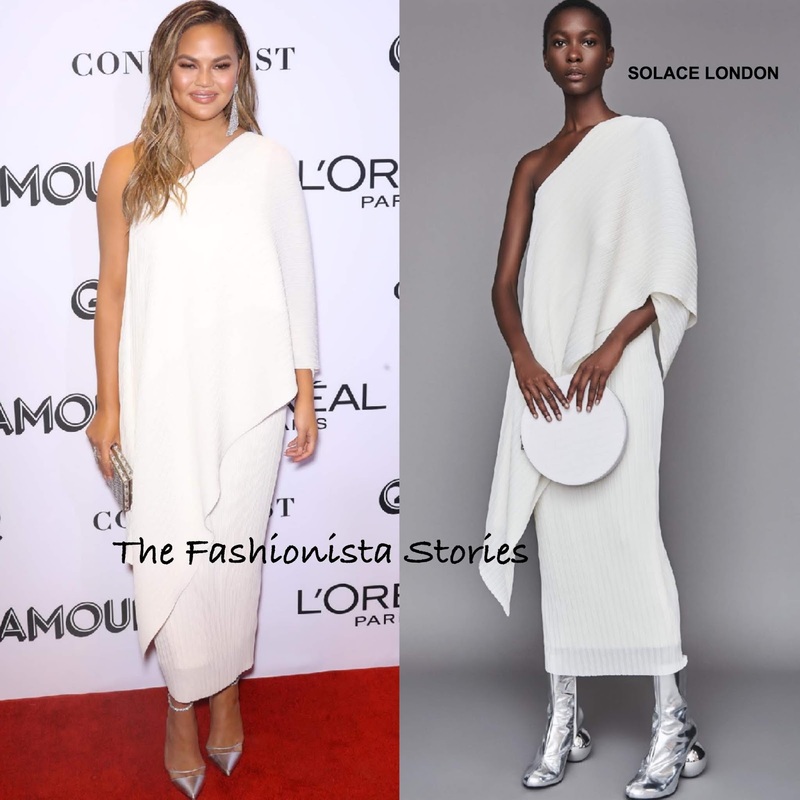 On hand as a honoree & on the November 2018 cover, Chrissy Teigen attended the 2018 Glamour Women of the Year Awards at Spring Studios yesterday evening(November 12th) in New York. Chrissy was all smiles on the red carpet wearing the SOLACE LONDON FALL 2018 'Sanna' cream one-shoulder, pleated draped dress which hit her ankles and featured an internal corset and layered skirt. The dress is also available in a red hue but I prefer the white for Chrissy. Beauty wise, she kept things simple with a neutral makeup look and side parted waves which topped off her look along with silver metallic accessories.